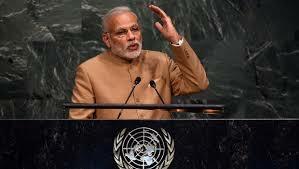 PM’s Statement at the United Nations Summit for the adoption of Post-2015 Development Agenda (New York, 25 September 2015). We represent a culture that calls our planet Mother Earth. As our ancient text say: "Keep pure! For the Earth is our mother! And we are her children!"